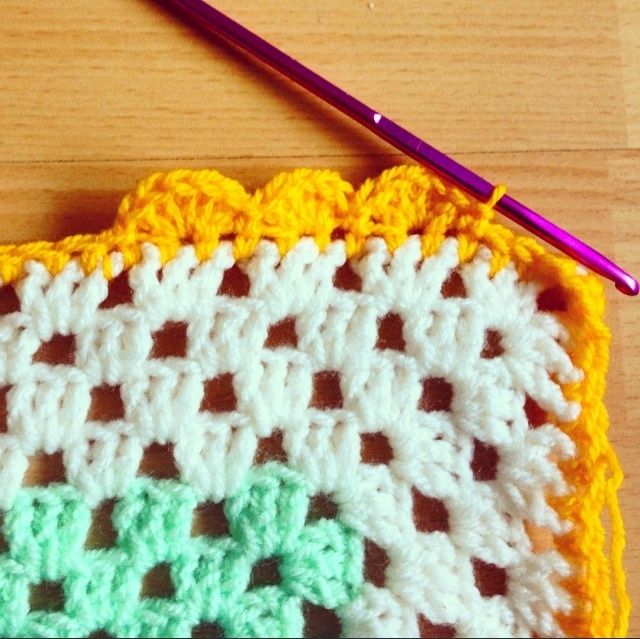 So, as a novice to crochet I have used youtube tutorials to teach me the basics! 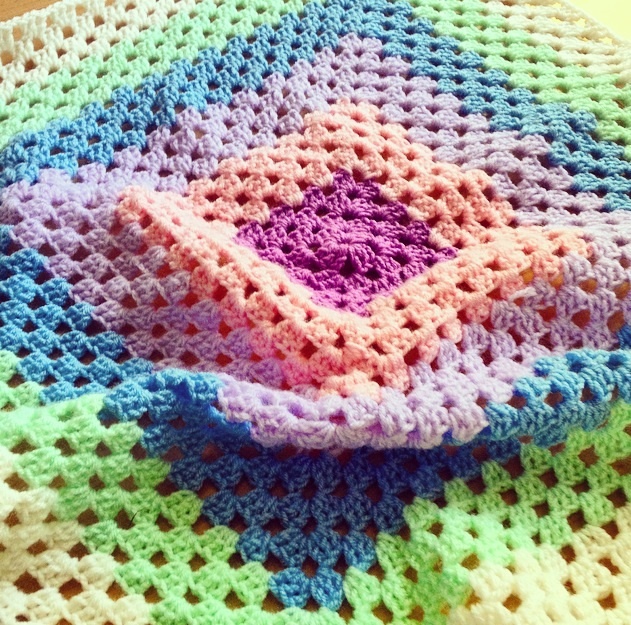 I have created this simple treble crochet stitch blanket changing colours after every 4th round!! 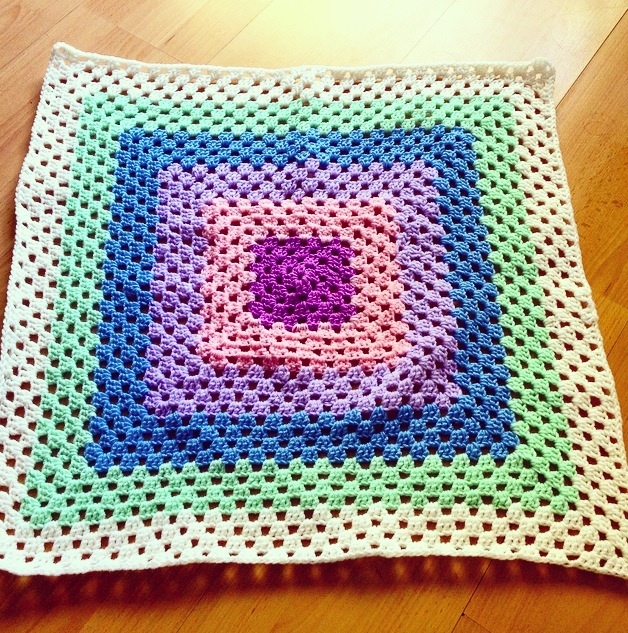 The scalloped boarder seemed like a nice way to end my blanket and make it girlie! Here is how I did it! My blanket isn’t huge, I wanted to make a car seat blanket. Ok so the first thing I did was do a single crochet in each stitch space. This creates a row of loops to start your scallops. 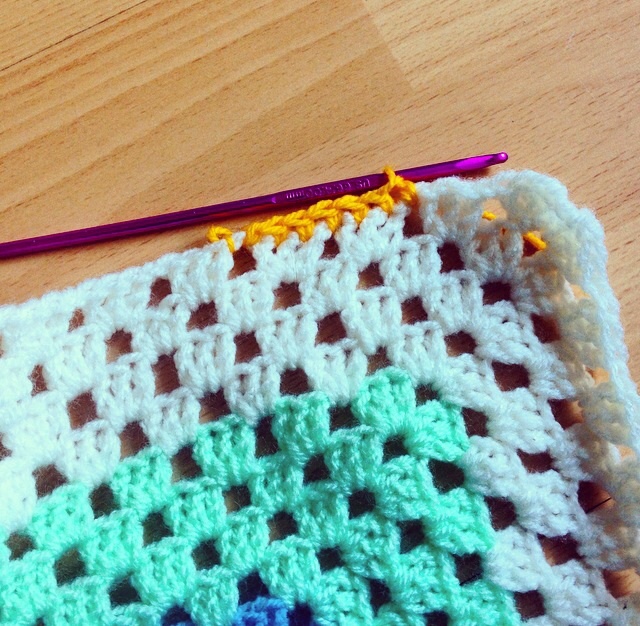 Do this all the way round your blanket. 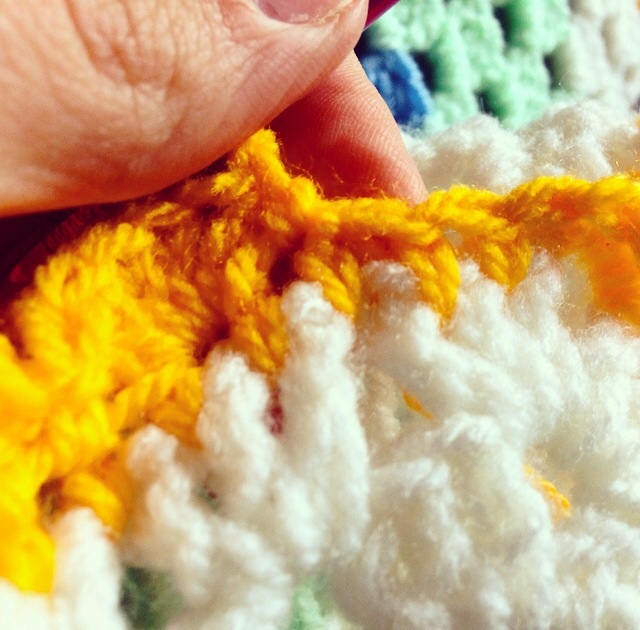 (This is where it gets tricky) in the first loop do 5 double crochet. You will notice it creates a fan. Slip stitch into the next loop. Miss a loop. Crochet 5 doubles in the next loop (repeat). You will basically use 3 loops spaces for each scallop (fan). When end you lay it down you will start to see the pattern. Next > Food, Food, Food!